Here’s another Friday giveaway MMT family, but you better be quick (it’s a code) and be prepared – this is going to be a popular one! 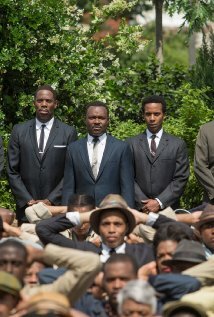 We’re giving away passes for the hot ticket next week – the advanced screening for the highly anticipated film SELMA, featuring a Q & A after the screening with the film’s history-making, Golden Globe nominated director Ava DuVernay! Click here to get to Gofobo.com and click on the “Get My Passes” link. If requested, use code MMTSelma. Passes, like theater seating, are first-come, first-served and are not guaranteed. I strongly recommend anyone attending to show up as early as possible – as I’m certain this will be a crowded screening. That’s it for this evening family. Good luck! THANK YOU!!! I’m so looking forward to this. You are so awesome!